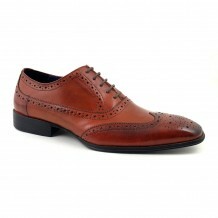 The hue of this russet red lace-up brogue is subtle yet strong. There is a wing tip and brogue detail to the toe which bleeds into a darker colour. Refined and distinctive, this won’t let you down. 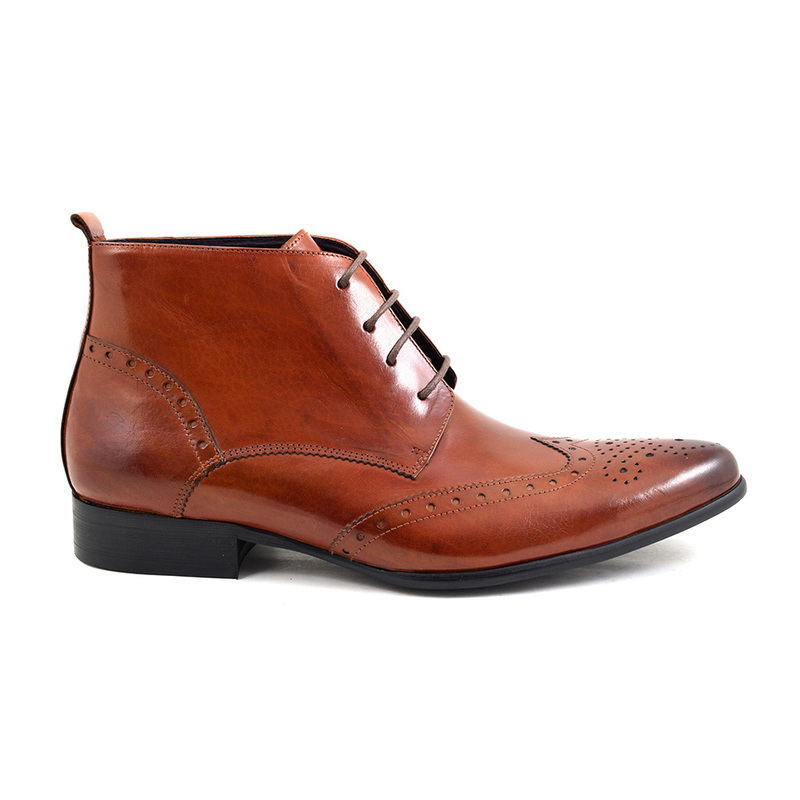 What depth of colour this mens red brogue lace-up boot has. 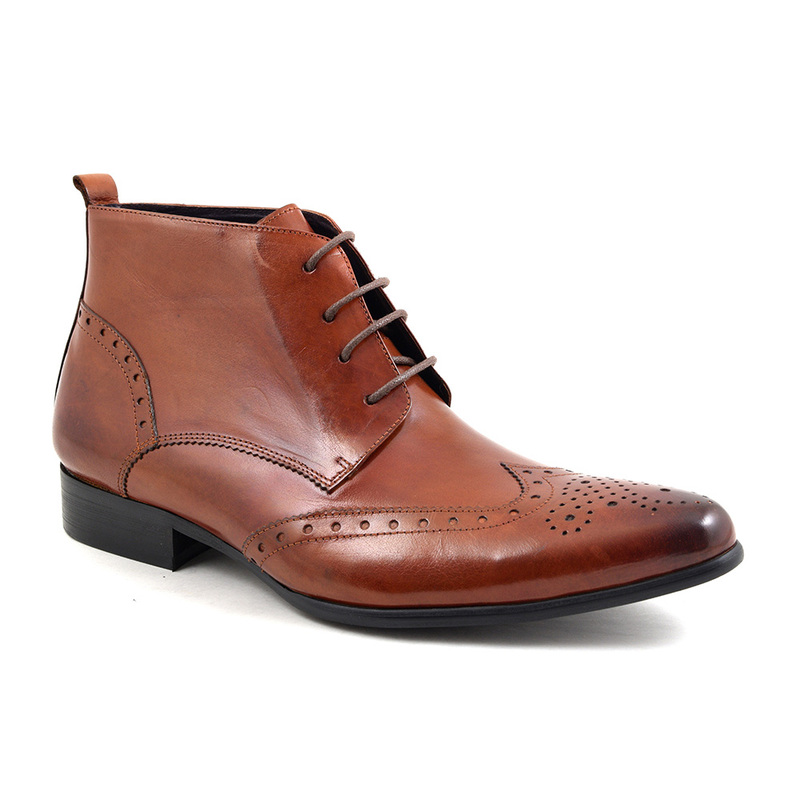 It is an autumnal reddish brown mens boot which is a wonderful alternative to black or brown. This mens brogue boot toe has a pointed toe shape to it and there is brogue detail such as a wing tip, medallion and perforation/serration. Who would have thought that this decoration was not an aesthetic function. No, holes were inserted into shoes to enable water to syphon away from the feet of workers in wet fields. Now, they are pure decoration but do give a dapper vintage feel to contemporary shoes and boots. 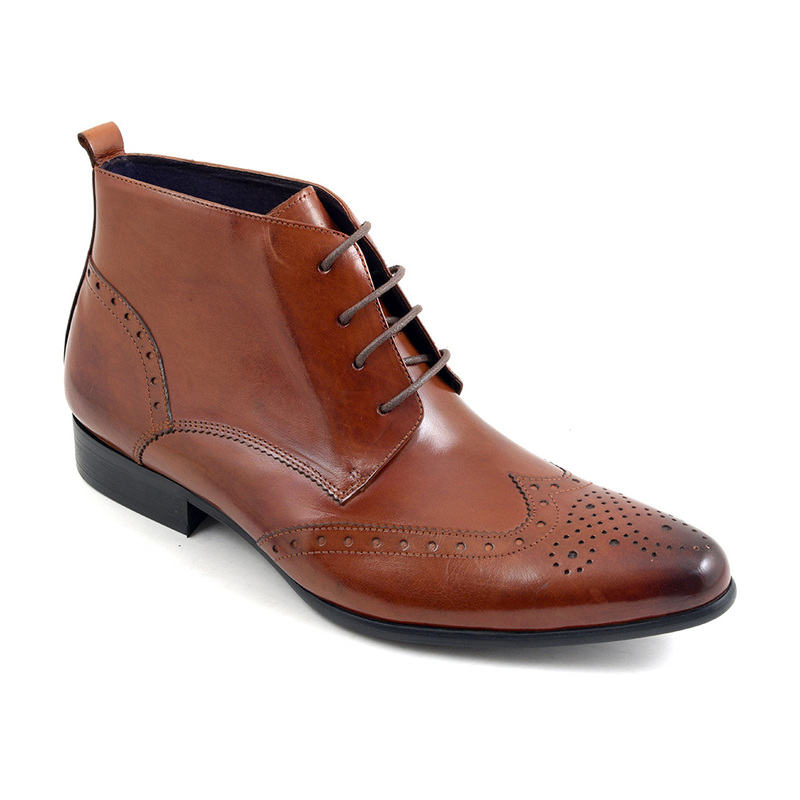 The lovely lines of this mens lace-up pointed toe brogue boot means that you could feasibly wear them with a suit or formalish wear to work. 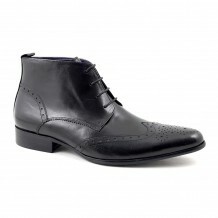 There is no reason you cannot substitute your work shoes for these sturdy stylish mens boots. When the weather turns colder, they are great for protecting the ankle from the elements. 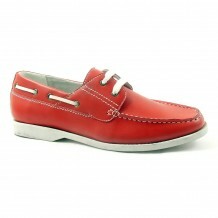 Having said that, these red brogue boots for men would look rather cool with a pair of jeans. Versatile boots with a lovely hue which will stand out for all the right reasons. We recommend using a shoe tree of unfinished cedar after wearing. You only need do so for an hour but this will help keep the shape of the boot AND help with any unwanted odours. As the toe is pointed, you could stuff paper down to help too. If you don’t have one and it rains on your lovely reddy brown boots, you could always put some newspaper inside them and this will help absorb the moisture and keep the shape. A pair of elegant mens red brogue lace-up boots which will speak volumes in terms of style. 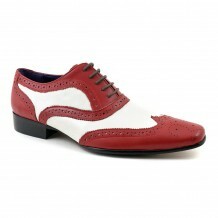 Be the first to review “Edris Red Brogue Lace-Up” Click here to cancel reply.